Do you long for long for beautiful Thai beaches and for a holiday at the same time? How about a visit to the Pattaya area on the east shore of Thailand that is offering a huge number of interesting attractions. The range of them goes really wide – from popular modern ones to ancient Thai traditions. Are you a party animal? Visit the nation’s most living and bustling Party Street. Feeling like an adventurer? You can go explore some interesting religious treasures. Whether it is the imposing beauty of the jungle or the crafty local people and culture, do not worry, Pratumnak has you covered! We recommend renting a Pratumnak condo and we have many grounds on which we base it on. 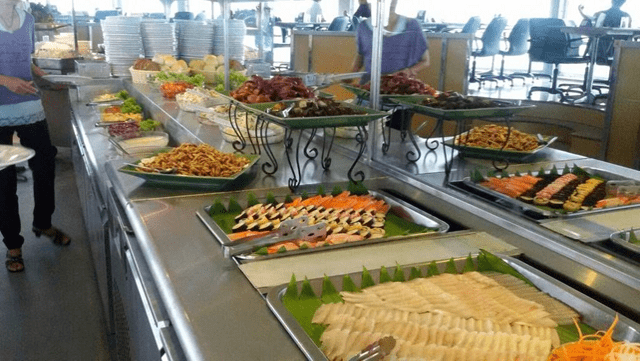 Do you want to experience famous local sea food dishes prepared in a genuine Thai way? Would you like to overlook the whole Pattaya area? How about you pay a visit to the renowned Pattaya Park Tower and its three rotating restaurants! Sure, Pratumnak is a great spot for basking in the sunlight on the beautiful sandy beach, for swimming and playing in the sea with children or for having long walks along it. It also offers a rocky area that looks like it was made purely for people who enjoy a good calm fishing seance. Catch a big one and then prepare it in your Pratumnak condominium! The area around and about Pratumnak Hill is commonly called as Beverly Hills of Pattaya. Why? 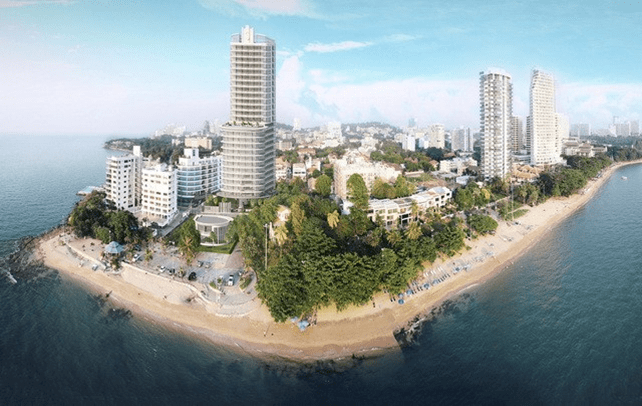 Only the best beaches surround you, there are great looking houses, it is so clean and still very close to the bustling center of Pattaya and last but not least, there is the very best sea view of the whole Pratumnak! See for yourself in our offer of condos for rent in Pratumnak! 4) Many ways to have fun in the evening! After catching some fish, having some fun at the beach or just strolling around, night approaches and you can choose some of many interesting things to do at night. Are you a fan of late shopping? Visit the night market while listening to live music, eating or drinking in some great locale. Still not enough fun and want some more? If you are a fan of late sleeping, you go out for the night, partying till sunrise. Although Pratumnak is much calmer than other city parts, you can still select from some of many local clubs, bars, and discos. The hill called Pratumnak is located on the division between suburbs of Jomtien to the south and Pattaya to the north. On top of it, you can find several interesting spots. Starting with some magnificent views of southern beaches and northern rocky hills and, of course, the city. Next, we have the Wat Phra Yai Temple that is famous for its Big Buddha statue, depicting him in a calm, relaxed state which should invoke the feeling of serenity in each and every traveler visiting. The temple’s design itself is also interesting as it combines several distinct styles in its architecture. There is also a cozy bazaar within the temple grounds where you can buy tourist items together with Buddhist amulets and other religious items. 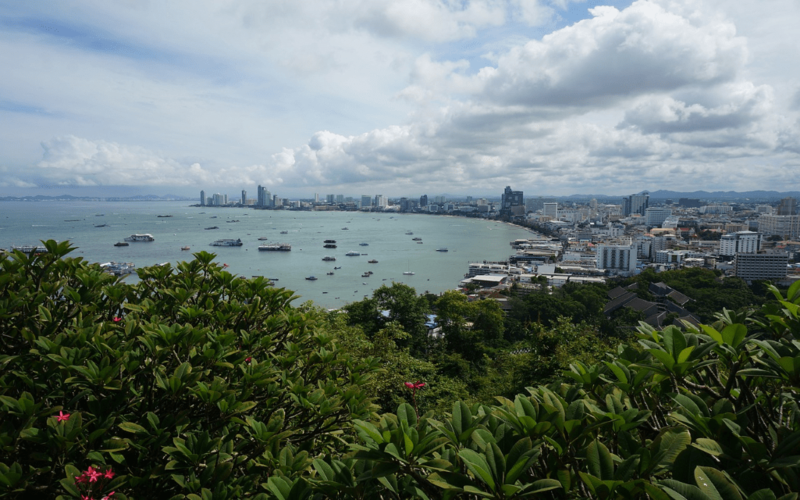 a viewpoint, Big Buddha Hill, a nice selection of bars and a location that is directly between Pattaya and Jomtien, this is one of the best holiday locations in the region. Click to browse our complete range of Pattaya Villas and Apartments for rent and you can arrange a meeting with our representative to in order to view those beautiful places for yourself. We are Pratumnak Property and we will fulfill all your desires about your best and greatest holiday located on Pratumnak Hill in the Pattaya area.